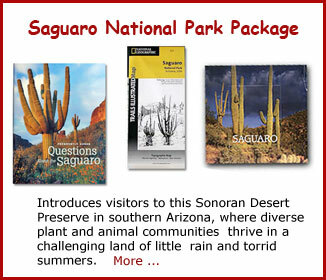 Saguaro National Park is comprised of two regions -- Saguaro East and Saguaro West -- located 30 miles apart on either side of Tucson, Arizona in the Tucson Basin. 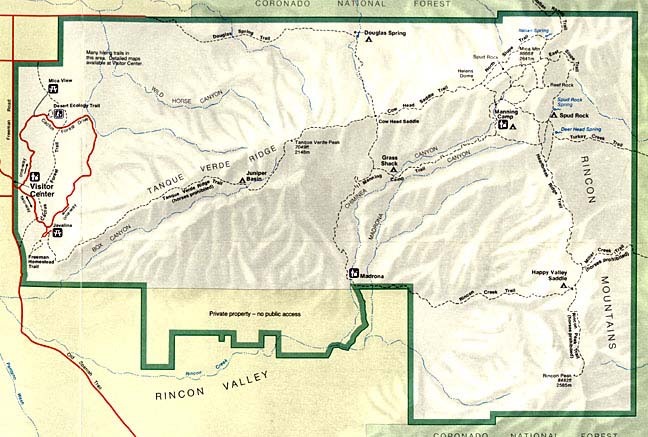 The Basin is situated in the Sonoran Desert between two mountain ranges -- the Rincon Mountains and the Tucson Mountains -- 60 miles north of the border between the United States and Mexico. Summer midday temperatures quite commonly climb above 100° F. Less than 12 inches of rain fall in a typical year. Between the summer and winter rainy seasons, it is not unusual for months to pass without a drop of rain. The plants and animals able to survive in this environment, with adaptations specially designed for desert survival, make up one of the most interesting and unusual collections of life in the United States. Many people feel the best desert season is from October through April, when high temperatures are in the 60s and 70s°F. Nighttime temperatures during this time can fall below freezing. The hottest period is from May through September, when highs average in the 100s°F. Still, at night, temperatures drop by as much as 30°F, and high in the Rincon Mountains it is cooler, too. Rainy seasons occur twice a year, in short but violent thunderstorms, from July through September, and in gentle rains, from January to March. Otherwise, sunshine prevails. 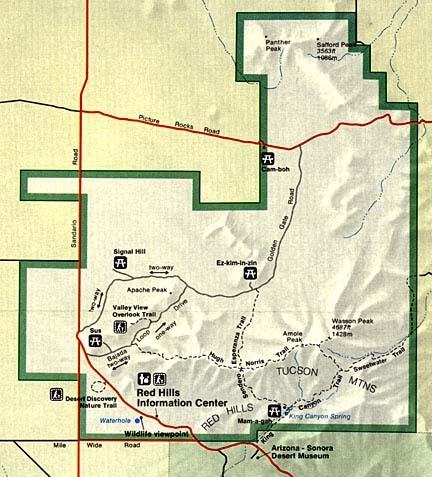 Saguaro East, or the Rincon Mountain District, may be reached from Tucson by traveling east on Broadway or Speedway to Freeman Road; turn right to Old Spanish Trail; turn left. Look for signs to park entrance. 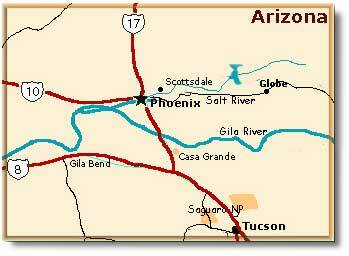 From I-10 southeast of Tucson, exit north at Houghton Road and drive approximately 10 miles to the Old Spanish Trail. Turn east for 3 miles to the Saguaro East Park entrance. 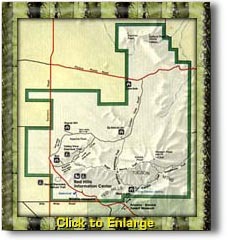 Saguaro West, or the Tucson Mountain District, may be reached from Tucson by traveling Speedway Road west. From I-10 in central Tucson, exit west on Gates Pass Blvd. 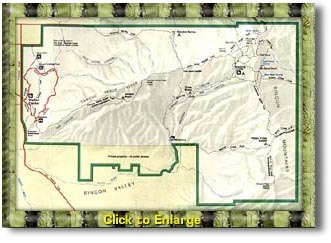 and drive approximately 10 miles to Kinney Road. Turn north for 5 miles to the Saguaro West Park entrance. Commercial airlines, buses and trains are available to Tucson. There is no public transportation in the park..